This is the GHEA racing bulkhead kit for AE B5/ B5M. Just rotate the bulkhead 180 degrees to change between 25 or 30 degree kick up. 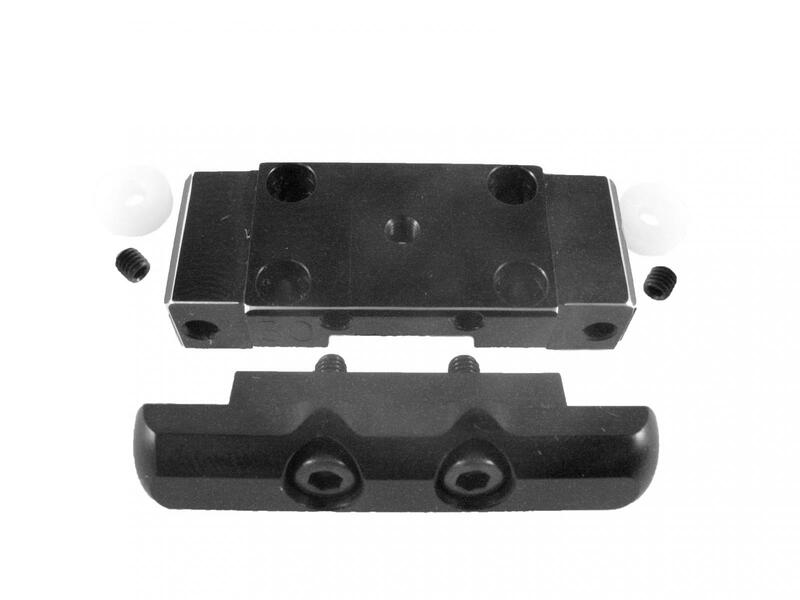 The kit includes a Aluminium(7075-T6) bulkhead,front brace delrin,2 socket head screws M3x10 and 2 set screw M3x3 and 2 spacers.